No PE clothes 3x=school issued detention. 2 points will be taken off of daily PE grade. There will be no miss counted for borrowing clothes but points will be taken off daily grade. All students may leave backpacks upstairs unless otherwise directed. Boys go down the gym stairs. Girls go down the hallway stairs. No one goes past their locker room door. Anyone caught doing this will receive an automatic detention issued by Mrs. Naleway or Mrs. Nevius. If locker rooms are too loud a teacher will announce that they will be coming in to check. All students have 5 minutes from the time the bell rings to get to gym. If you are late due to talking to a teacher, you must bring a note with you to class. Gym doors will close after 5 minutes. Students will receive points off of daily grade for being late to class. If the student must sit out of PE for 1-3 days, a note from parent/guardian is required. Long term will require a note from a doctor and also a release form when returning to PE. Students sitting out will not dress. They will work on Sports packet to earn daily points. 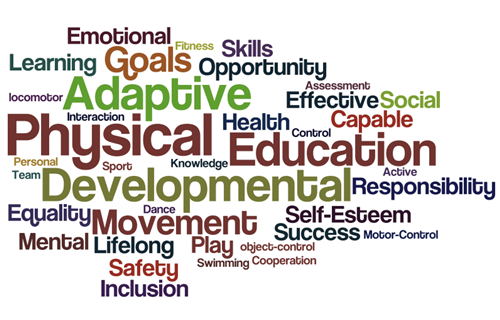 Athletes must participate in PE on days that they will be participating in school practices or games. If they sit out of PE, they must sit out of practice/games that day. Leave backpacks neatly in bleachers. Attendance will be taken. Sit quietly. Heart rate sensors will be handed out. All students will wait in hall by locker rooms till everyone is dressed. Procede to gym and make sure heart rate sensor is activated. Wrap up activity, cool down and discussion. DAILY POINTS =10 per day 20 per week. Participation in target heart rate zone and time, Effort, Respect, Sportsmanship and Dress. 1-5 points off for each at the teacher's discretion.